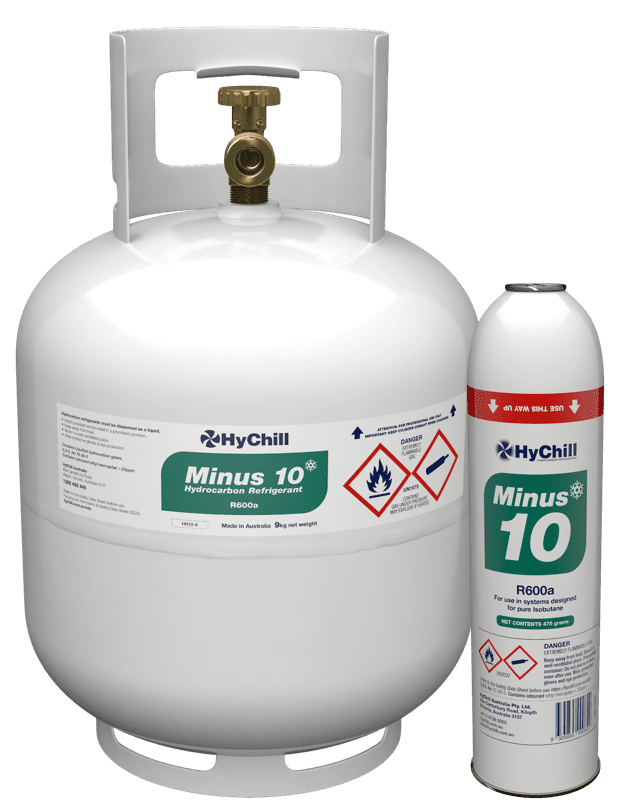 Minus 10 is a high-purity R600a [isobutane], the dominant single-ingredient refrigerant used in state-of-the-art light commercial and domestic refrigeration. HyChill Minus 10 is the natural organic solution for medium temperature refrigeration. Its superior thermodynamic properties make it an ideal refrigerant for use in systems that aim at 6-star Energy Efficiency rating. It is the refrigerant of choice for domestic and light commercial refrigeration units, including fridges and freezers, drink dispensers and stand alone display units. Excellent compatibility with refrigerant oils and lubricants. 4.5kg, 9kg cylinders and 500g cans.